Tacos, Heart-Break, and electronics. Check out what new products we have this week. This week we've got a little bit of everything. A new SparkFun tool, a couple of revisions, and a new board. Be sure to check out the video this week, it's full of cringe. I challenge you to use a traditional third hand to eat tacos. I'm not saying this makes ours vastly superior, but it's certainly the king when it comes to hands-free taco eating. This may or may not be a benefit for you. I've always hated using third hands. The arms never really adjust the way you want them to, they don't have enough arms, and the base isn't stable enough. 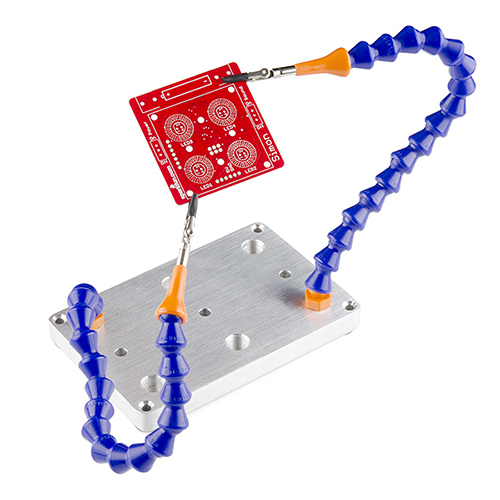 That's why we created the SparkFun Third Hand Kit. It includes two flexible coolant hoses, the parts necessary to make them into little hands, and a sturdy aluminum base. The kit comes standard with 2 arms, but you can add up to 6 if you want to go crazy. If you want to add extra hands, check out these coolant pipes. They're about a foot long and make for great hands when coupled with alligator clips. You can also add some LEDs in the ends for lighting, or use them to mount accessories like a fan or magnifying glass. You could probably use them to make a flexible tripod. They have a lot of uses! We've also been told they work well for coolant. 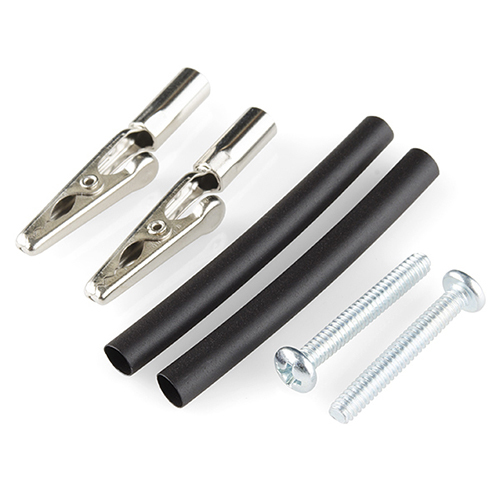 If you want to turn a coolant pipe into an additional hand, check out this parts kit. It includes a couple alligator clips, screws, and some heatshrink. 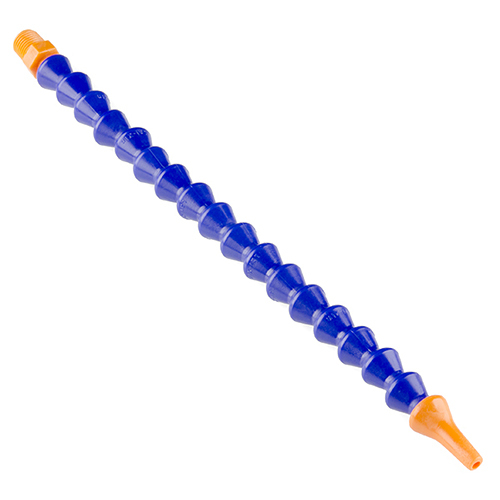 Pop off the end of the pipe, screw in the alligator clips, and put everything back together. Use some of the heatshink on the alligator clips so you don't scratch up your boards. 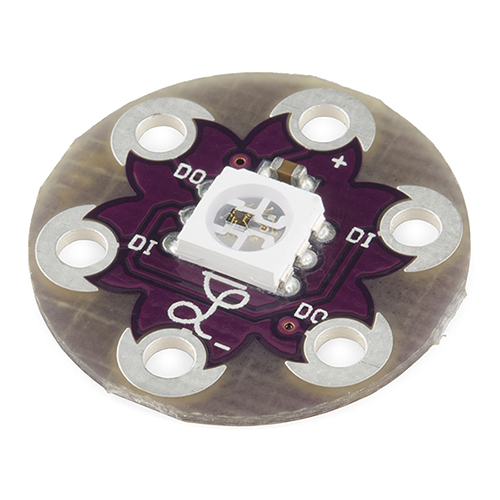 Based on the WS2812, the LilyPad Pixel is an RGB LED board that you can daisy-chain. No longer do you have to worry about running out of pins on your LilyPad! Each individual Pixel can be addressed, so you can use them to create some pretty cool wearable projects. If you haven't needed a logic level converter, you will soon. Unfortunately, not everything talks at the same logic level and a logic level converter is an easy way to translate between various voltage levels. 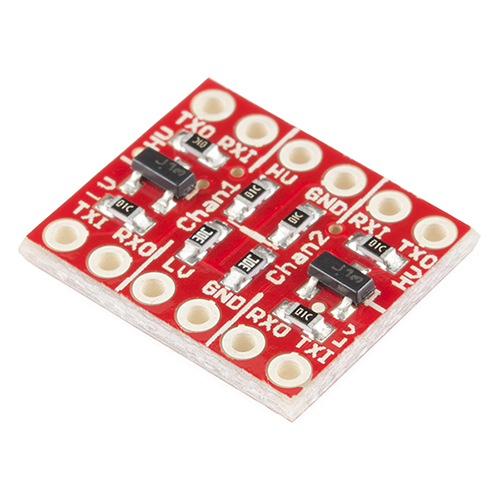 We have a new revision of our logic level converter which works better with 3.3V translation. We even have a tutorial that explains how they work and how to use them. We have the old version on sale, while supplies last. Lastly, we have a new revision of the Copernicus II DIP Module. The new version fixes some silkscreen and adds a jumper between the VCC and XSTBY pins. 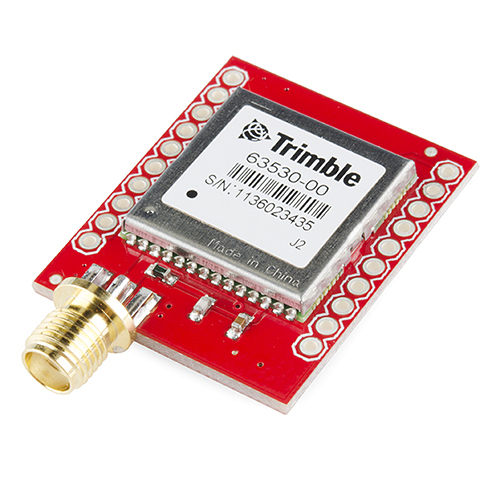 The breakout is an easy way to use the Copernicus II module from Trimble. Just give t some power, add an antenna, and you can know where you are. We have the old version on sale while they last. We hoped you enjoyed this week's edition of Friday New Products and we'll be back next week with more! Cheers! Now I want a taco. "The kit comes standard with 2 arms, but you can add up to 6 if you want to go crazy." I think you and I both already know the answer to that question. But the Martians in War of the Worlds had [tripods](http://en.wikipedia.org/wiki/Tripod_(The_War_of_the_Worlds)), Paul. I just knew someone wouldn't be able to let that go. IT'S MY IMAGINATION I'LL USE IT HOW I WANT. "Don't you hate traditional third hands? They don't have enough hands..." And then you sell yours with only two included. You need to work on your "fake typing" skills.. And, I think you forgot to post the part number for the taco..
His skills were fine, he was on this site. Wow.. that is a cool site, but I'm pretty sure I just released all the dinosaurs at Jurassic Park while playing with it.. Either that, or Matthew Broderick is now getting arrested for launching the nukes toward Syria. Really? I did it and Penn Jillett started punching on a huge keyboard and talking about rabbits. but do you get your own set of sunglasses, and a copy of the soundtrack to take them off? If you buy the six arm version for Halloween, can you cosplay as Dr. Octopuss? Wouldn't that be a hexopuss? No, Octopuss. YOUR own two arms plus six more. Actually a Decapuss if you count your own legs, but Doc Oct in Spidy added six extra arms to himself IIRC. ;) Love Halo. I am glad I never ended up with one of the old controllers, terrible. Rob, if you ever leave SF, I'm gonna cry. I type 'for real' all day for my job. I think I'm allowed to fake type every so often. I've tried many different types of clamps and "third hands" over the years and never been satisfied with any of them. Yours looks excellent and just the kind of thing I wanted. The flexible coolant pipes are excellent. The aluminum base looks like it will do a great job. I also love your idea of heat shrinking the clips (I always worry that my clips/clamps will damage what I'm holding). In short, great job on this! I'm ordering a set immediately. I look forward to giving it a try. Yeah the guy that put up the above instructable in like 2007 did a great job. Just hate to see them pretend that they actually came up with it. In the product introduction video (which is what I saw first), RobertC indicated right up front that they saw the project in Instructables and based their design on that, so it seems like they are giving credit where credit is due. If that's the case then all is well. I am at work and thus have not yet watched the video. You haven't watched the video? It's kinda funny. You should check it out. Can we get it with the taco? Sadly, they already gave away the taco. Is there any chance of a personal analog logic level converter coming out? Because many people I interact with throughout my day seem to be talking on a different logic level as well, or else lack any level of logic whatsoever. I'll see what I can do. What levels do you wish to translate? Some, indeed, can be found using binary logic levels; rigidly defined boundaries of doubt and uncertainty between having a complete lack of logic and an excess. What you may be looking for, thus, is a logic level inverter.